The oddly-named Peacedog is a new jacket from Spada which marries practical protection with a retro and casual aesthetic. 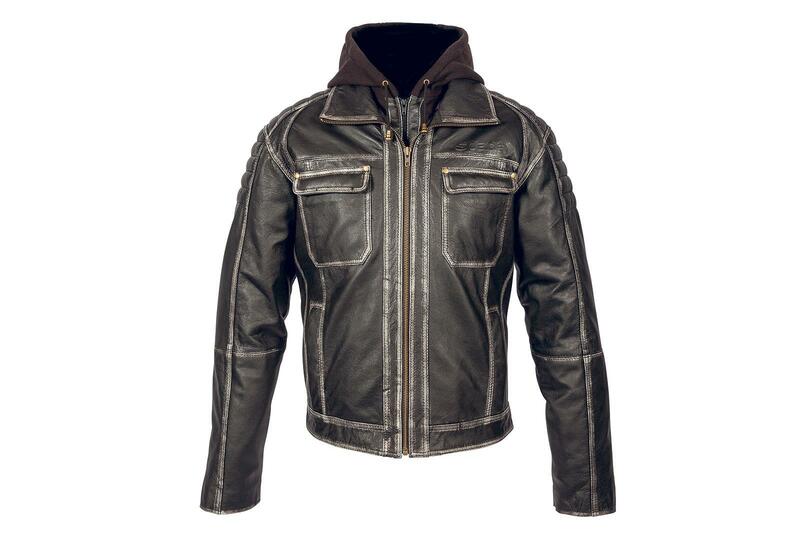 The jacket is made with a unique tumbled sheep hide construction, a soft leather outer layer and comes fitted with a removable hood and front scarf. Added protection comes with the CE level-1 armour in the shoulders and elbows. There’s also a pocket to fit a back protector, which will replace the foam insert that comes as standard with the jacket. The insert costing an extra £30, splash away. The jacket features a breathable waterproof membrane and also comes with a removable thermal lining. The Peacedog comes with a retail price of £279.99 and is available now.